I love Instagram so much that I have two accounts, one is personal and the other is for business. I try not to bore my business audience with pictures of my kids or my lunch – I share those types of posts on my personal account. My business account contains inspirational quotes, testimonials from my clients, blog posts and books I’m reading. Most of us have heard of Instagram stories – where you can share short video clips or photos of your everyday activities and save it to your story for 24 hours. If you have Stories Archive switched on in your settings, you won’t have to save your stories to your phone, Instagram will keep them archived for you. Then you can add these stories to your highlights. Stories and highlights can be pictures or video. The only way you can add something to your highlights is to first add it as a story. It’s also important to know that you can send your Instagram story to your Facebook story automatically, just switch it on in the Instagram story settings. Maybe you’ve scrolled through Instagram and clicked on someone’s bi here and there. Maybe you’ve noticed they have a row of circles above their layout. Sometimes they have pretty covers, sometimes they don’t. 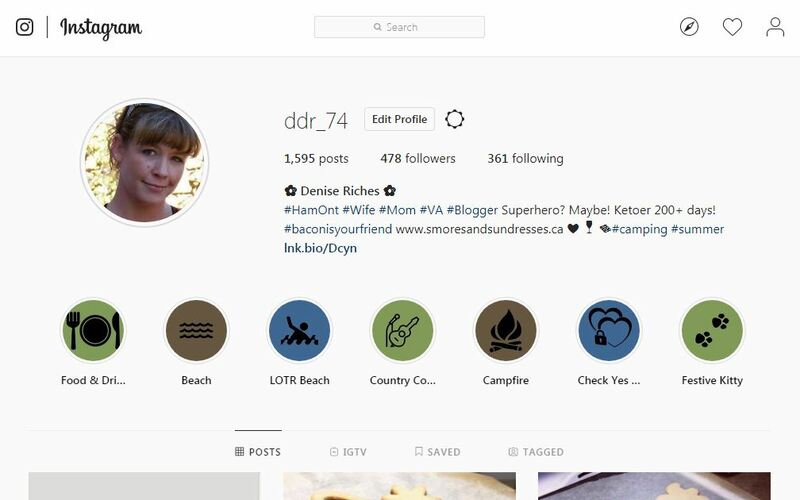 Here, I’ll tell you how to create custom Instagram highlight covers. To start, you’ll need two resources, Canva and Flat Icon. Canva offers some free icons but I’ve found that Flat Icon has a much better selection to choose from and always has what I need. Open a new 200×200 pixel graphic in Canva. Choose and download the icon you’d like from Flat Icon. Upload this image to Canva. Insert it into your image. Name, save and download your image. Email it to your self so you can get the image to your phone (you cannot do this via desktop). Log into Instagram and go to your bio. If you don’t have a story previously saved, you’ll need to add to your story before completing the next steps. To learn about adding to your Instagram story, click here. If you have stories previously saved in the Story Archives, you can go through them and select which ones you’d like to add. You can add several all at once. When all your stories are selected, Instagram will ask you to name your highlight. After naming it, click on Edit Cover. Select the image you saved to your phone. Click Done. You can do this for several story “themes”, as I have.